Every once in a while, I like to go through some affiliate marketing posts on Reddit and see “what’s out and about” in the world of affiliate marketing and online business in general. That’s how I spent my Saturday night yesterday, but luckily; I came across a great gem that I just had to write about it and share with you all this morning. Today I am doing Stopping Scam’s FIMP training course review, a 100% free affiliate marketing training course that will show you all you need to know to build yourself a flourishing online business. 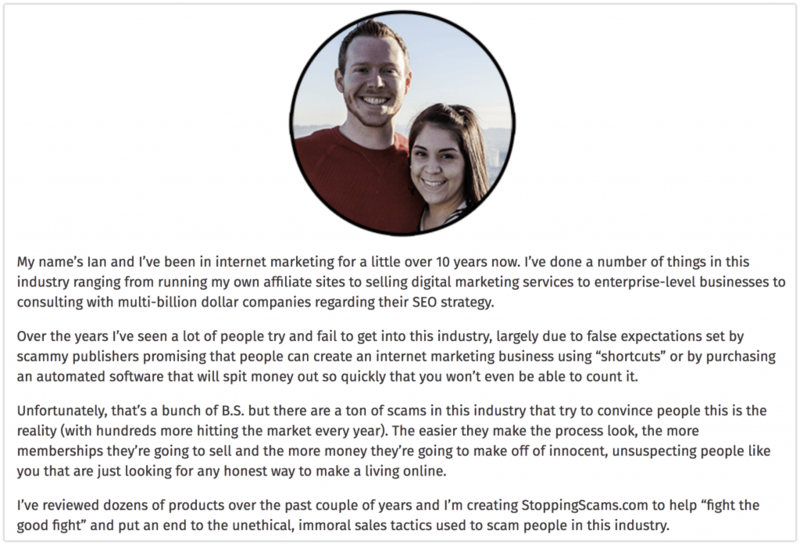 Stopping Scams is an online blog that is aimed at reviewing the many scams and bogus training courses that are sadly running wild in the affiliate marketing space. I have been a fan of this blog for quite some time as well occasionally coming across it while researching information on products I was reviewing, but I have never realised they offer a FIMP, their very own training course. FIMP, which stands for the Free Internet Marketing Project is exactly how it sounds. I know a lot of training courses out there promoting themselves as free (including my own personal favourite Wealthy Affiliate), but FIMP really is 100% free. 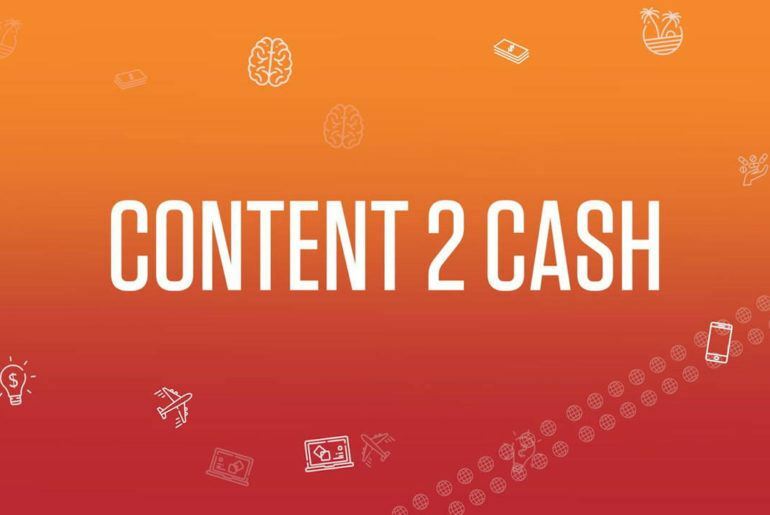 No catch, no premium levels, no hidden courses, just free content in video format that will teach you how to get a head start in affiliate marketing. What Can You Learn With FIMP? You’d be surprised to see how much content is offered for free at FIMP. At first, I was also very sceptical about it as it simply can’t be 100% free but to my surprise, it is. 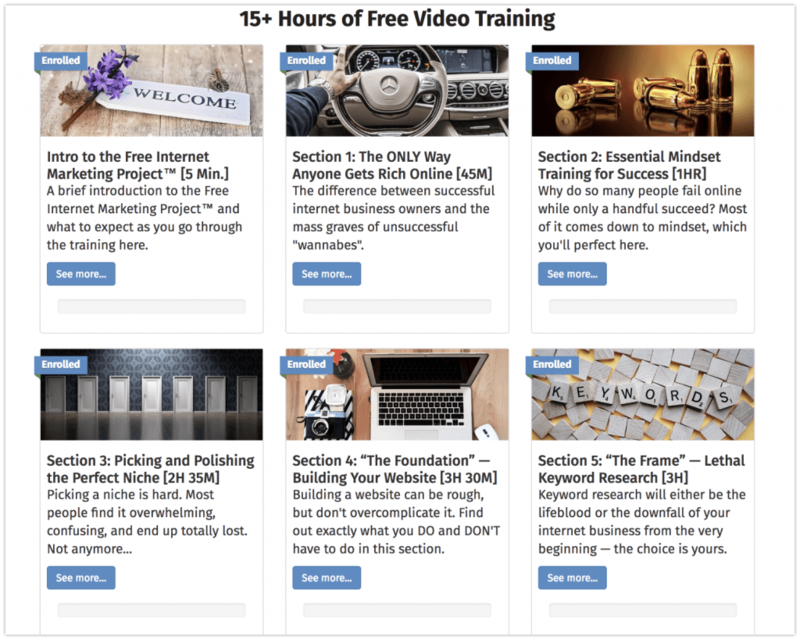 There’s over 15 hours worth of content inside the FIMP training course and you can get access to them right now on this page. 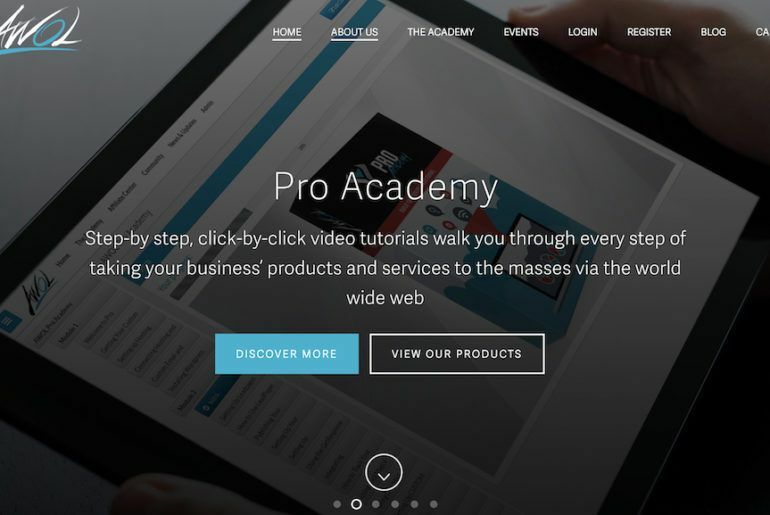 Just to cover what you will be learning, here are the “modules” inside the training course, all the branching out into multiple lessons and “steps” with a detailed video to go along with them – some videos are even 30minutes long. All these modules and lessons should be enough to get you going with your affiliate marketing. If you just understand the concepts taught in this course, then you are well on your way to becoming a profitable affiliate marketer. One thing I would like to add before I continue with this FIMP review is to watch the training videos as they are displayed and organized. While Ian (creator of StoppingScams.com and FIMP) advises you to watch the first 2 modules first, then browse and jump around the training as you please, I would advise you to watch them one by one as if you’re a beginner, the lessons thought will build upon each other. The point I’m trying to make; do not skip lessons and videos. You’ll be making it much harder to understand the whole concepts and how they connect to each other if you simply pick and choose what you want to learn. I just spent the past 3 hours of my Sunday morning going through the first initial phases of the training and I loved it. So much so that I had to jump on this review and share it with you all as I think this is one of the best free affiliate marketing training courses that I’ve ever seen. Not only is Ian super helpful and clearly very determined to see all his students succeed, it’s also 100% free. You’re going to have to see it to believe it but I may have just discovered one of the best affiliate marketing courses, and now it’s your chance to take advantage of it. How Does FIMP Make Money? As I said already, FIMP is 100% free. However, if you are going to take the course, then I recommend you use Ian’s affiliate links to get the resources he recommends. You don’t have to, but using his affiliate link will earn him some commissions which I believe he absolutely deserves thanks to the magnificent training he’s created. Mind you; his commissions will not incur an extra cost for you. As affiliate marketers, we get our cut from the companies we promote, and not the end-user. Now as you may know already, the main training program I promote is Wealthy Affiliate. You may also want to know that Ian is also a student of Wealthy affiliate and also one of the most successful affiliates WA has ever produced. Most of the training even comes from Wealthy Affiliate and wheel I would still suggest you check out the FIMP, I would still suggest you join WA as well. WA offers more than just training. I won’t go through all the details of what you get with Wealthy Affiliate and what it is all about, but you can check my previous posts on it. When it comes to FIMP vs Wealthy Affiliate, again I would suggest you join both. Join Wealthy Affiliate on a free membership here. Join the free FIMP affiliate marketing course here. Do I Recommend You Join FIMP? If you’re a beginner affiliate marketer struggling to understand the whole business model and how to get started, then the FIMP training course is where you should visit next and start your training today. 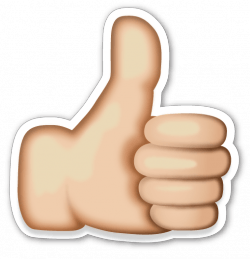 Thank you for reading my FIMP review. I’m really surprised at the great quality of training that is being offered there and I hope this post has convinced you to give it a try. As a FIMP student, I am sure you will see success in affiliate marketing way faster than you originally anticipated. Go support Ian and Stopping Scams by becoming a FIMP member today. That’s all from me. I wish you all the very best. Thank you for the incredibly kind review 🙂 It’s things like this that make me 100% certain that, even though FIMP has been a ton of work and doesn’t produce much income (I actually sacrificed six figures a year in commissions from StoppingScams when I released it), it’s making an impact in the world. Thank you for noticing, and for doing a bit to get the word out. It really means a lot to me. Best of luck on your journey to six figures! Thank you very much Ian for all the work you’re putting in – you are a god-sent and I love your work. Let me know if I can support the FIMP project in any way I can.